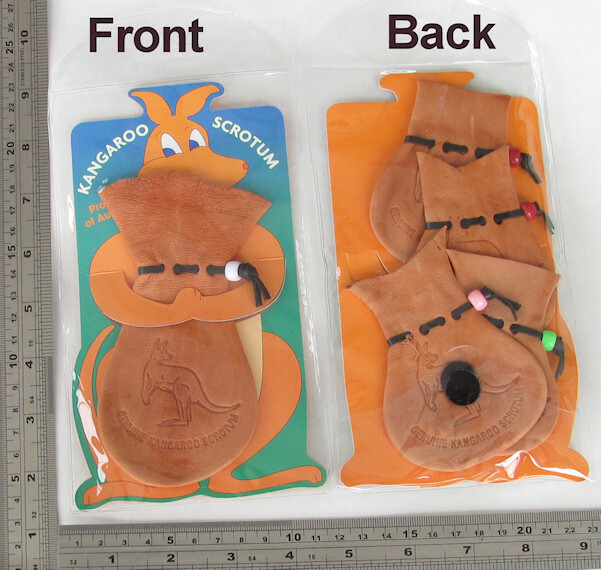 This medium size kangaroo scrotum pouch is presented on a 10.5 x 17 cm card and packed in a clear film pouch for better presentation. b. 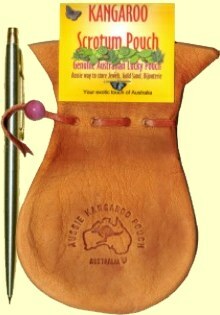 Single medium pouch with four small pouches packed behind the card. Click on picture to see both sides. 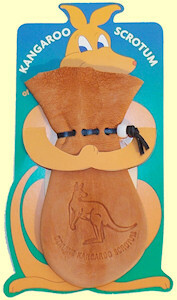 Kangaroo scrotum pouch, medium size, packed in a colorful box. Boxes are available in Red and Green colors. Please, select the color you like below. Unforgetable little gift with huge sentimental value. 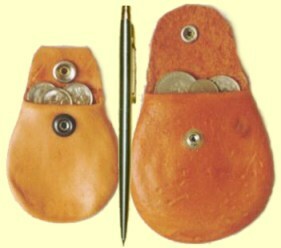 Good for storage of gold sand, jewelry, coins, etc. 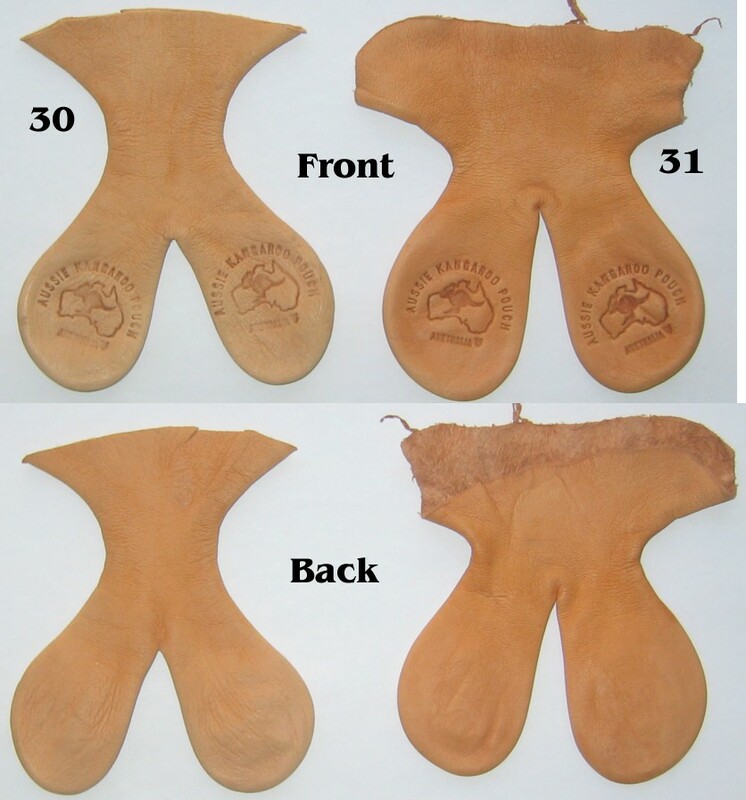 A unique hard-to-find gift for hard-to-please people. 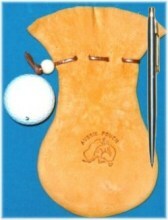 This is extremely rare and truly unique scrotum that can fit a golf ball. 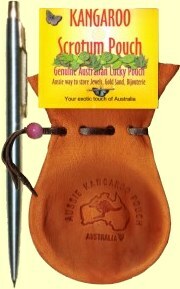 Valuable gift for golfers and those special people who can handle mass of luck. 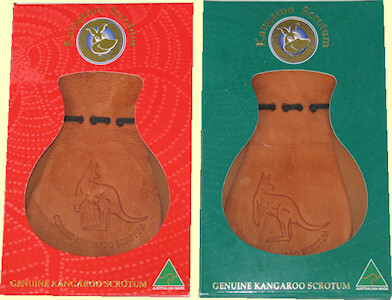 These unique coin purses are hand crafted from the best quality kangaroo scrotums. 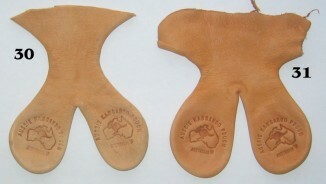 Blank pouches are available now. Same measurements, but #31 has wider neck. 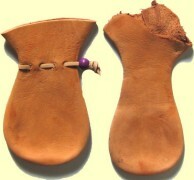 They are not laced in case you'd like to do it your way. If not, we can do lacing for you.